Whether you've bought a new kitchen sink and require additional parts to complete your installation or just looking for a replacement part then we have all the sink accessories you'll need from sink wastes to plugs, pipes, traps, strainers and drainers. 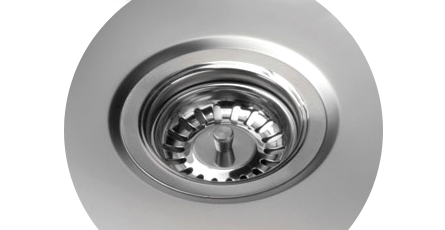 A sink waste can be coupled with a strainer to ensure smaller bits don't go down the drain which could block it in time. Choose from a variety of colours and finishes to match your sink or taps as well as other areas of your kitchen. Add a practical drying and working area next to your sink with a sink drainer. We also stock a range of traps and kitchen sink overflow waste pipes in a variety of styles to help complete your sink. Browse our sink accessories for the most suitable part for your sink using the filters on the left.